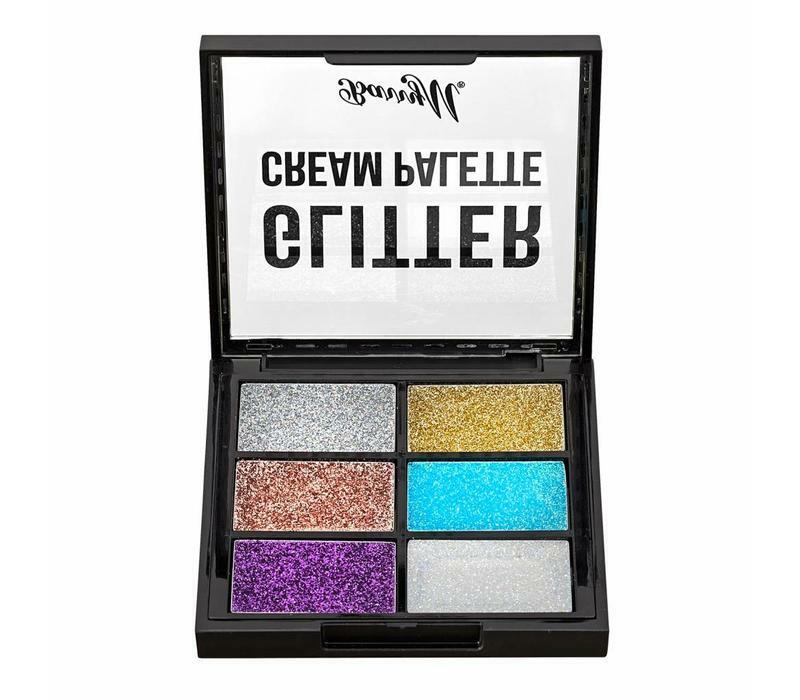 This versatile glitter palette is suitable for both your eyes, face and body. Easily and quickly add a little sparkle to your look and this without messing with glue, because you do not need that anymore. This glitter cream is immediately ready for use! 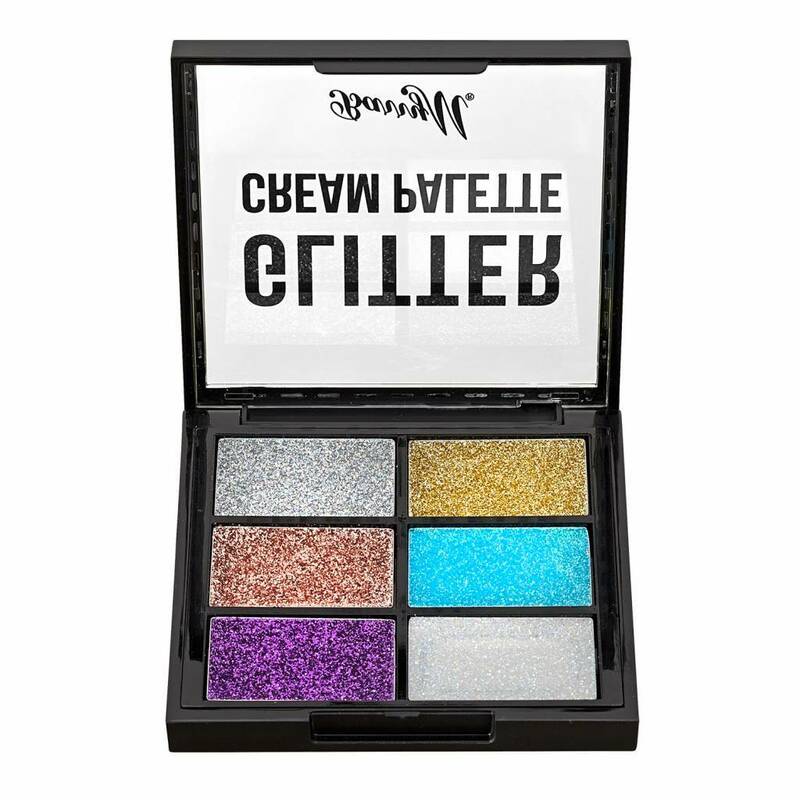 Barry M Glitter Cream Palette is a versatile glitter palette and suitable for both your eyes, face and body. Easily and quickly add a little sparkle to your look without messing with glue, because you don't need that anymore. This glitter cream is immediately ready for use! This palette contains 6 intensely pigmented shades and is ideal for creating a striking festive look! The soft formula feels comfortable and gives your look a little bit of extra glamor. Suitable for both your eyes, face and body. Provides a little extra glamor. Apply the glitter shades with your fingertips or an eye eyeshadow brush. Polyisobutene, Paraffinum Liquidum, Ethylhexyl Palmitate, Butylene/Ethylene/Styrene Copolymer, Hydroxystearic Acid, Silica Dimethyl Silylate, Phenoxyethanol, Polyethylene Terephthalate, Polymethyl Methacrylate, Polyurethane-33, Polyurethane Coating, Aluminum, Acrylates Copolymer, Ethylene / VA Copolymer, [+ - CI 16035, CI 19140, CI 15850, CI 77510, CI 42090].